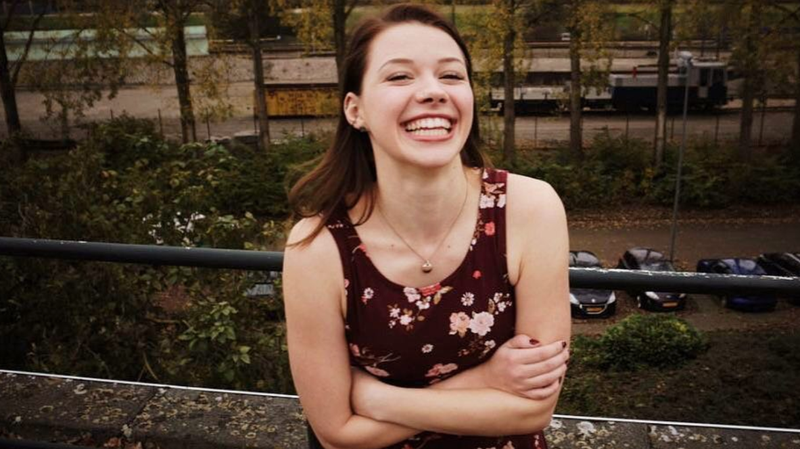 An American college student studying abroad in the Netherlands was stabbed to death by her roommate, a man the victim’s mother claims constantly harassed her. She was due to come home for the holidays in a week. Dutch news outlet AD reports that witnesses heard “loud quarreling and screaming” coming from the Rotterdam apartment of 21-year-old Sarah Papenheim on Wednesday. Police found Papenheim covered in blood and were unable to resuscitate her. After an investigation, authorities determined that Papenheim’s 23-year-old roommate was the prime suspect in the stabbing. The unnamed man was found nearly 70 miles away at a train station in the city of Eindhoven. Papenheim’s mother, Donee Odegard, told ABC News affiliate KRCR-TV that her daughter said that her roommate had been acting strangely lately. Odegard suggested that she stay with her boyfriend who lived in an apartment down the hall. According to Papenheim’s boyfriend, she texted him letting him know that she would grab her clothes when she knew her roommate was meant to be in class. Papenheim’s family suspects that that was when she was attacked. Now, a GoFundMe account has been set up to pay for the travel costs of transporting her body back to Papenheim’s family in the United States, as well as standard funeral and burial costs. Papenheim was a talented drummer who often played at blues clubs back home in Minneapolis. A local CBS affiliate reported that Papenheim started attending open jam sessions around town when she was only 15-years-old. But Odegard told the Washington Post that her while her daughter “lived for drumming,” she wanted a steady career. Papenheim studied psychology at Erasmus University with a focus in suicide, which was the result of her brother’s death in 2015. Papenheim and her family are still waiting for more information from Dutch police, but it’s hard not to look at this as another endless example of the scourge that is violence against women. It’s far too often that home is the most dangerous place for a woman to be.